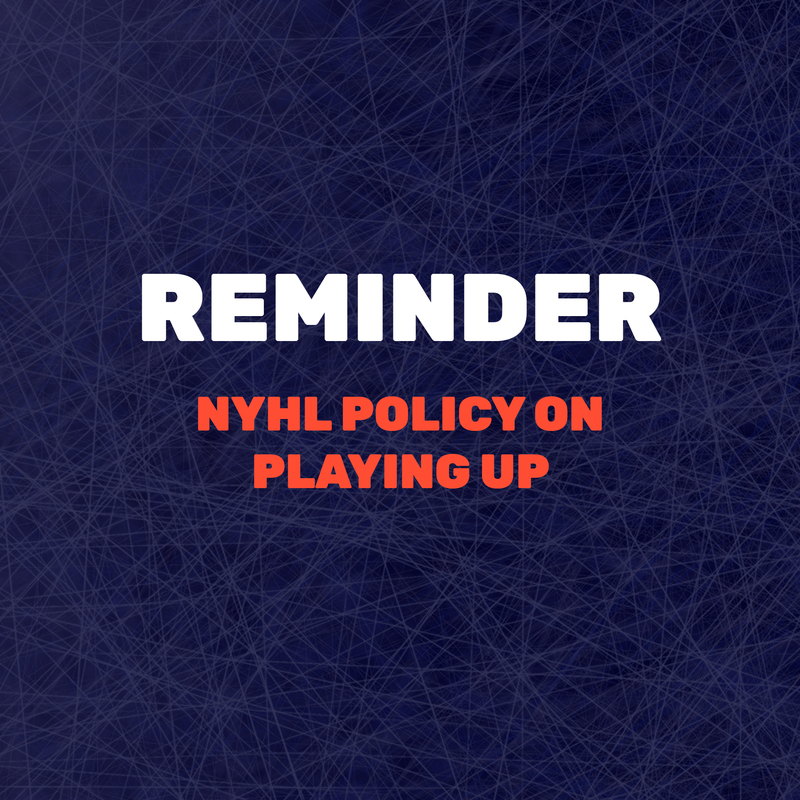 The NYHL Board of Directors wishes to clarify the League’s position on playing up by stating that every NYHL Select Team will play the fall season in their age-appropriate division. The Board wishes to further emphasize to everyone that the decisions on Final Tiering is made in the first week of December by the Tiering Committee. Commitments as to which Tier a player or a team will be playing in cannot be made beforehand by Team Staff or Club Personnel. Please direct questions to our Administrative Assistant, Anne at anne@nyhl.on.ca.